Composed and Humbly Dedicated to the Royal Family by Mr M. Miller. 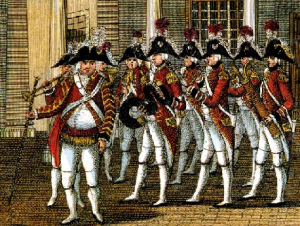 The marches were published in 1794. Nothing further is known of Mr. Miller. Preview, playback and details of any other parts or offers available for this score can be found here. $3.00USD Test Item 70613 anshul inc.